Leah Van Ert is a church secretary by day and a writer, illustrator, and creator by night. Most often, she writes at her blog, My Favorite Adventure, about book recommendations, weekend getaways, daily life, and everything in between. 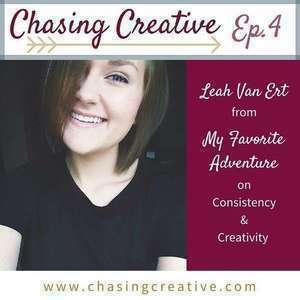 Listen in as we chat with Leah about scheduling time for creativity, the key to being a consistent blogger, and when you’re “allowed” to think of yourself as a creative person.